Thank you to all the parents and grandparents who attended our science morning. We had great fun making carbon dioxide and inflating balloons! We mixed a liquid (white vinegar) with a solid (bicarbonate of soda) to create a gas (carbon dioxide). The gas was not able to escape from the bottle so went into the balloon and caused it to inflate. We used 1 teaspoon of bicarbonate and 50ml of white vinegar first. We then predicted what would happen if we mixed 2 teaspoons of bicarbonate and 100ml of white vinegar. Some children correctly predicted that the balloon would inflate even more as more gas was produced. We also observed that the volume of the gas in the balloon was greater than the volume of the liquid and solid in the bottle. Please look at our photos below. We're now half way through our Spring Term and well into our Passion topic. We're focusing on the Victorians and their passion for design, invention, literature and empire! We started by reading Oliver Twist by Charles Dickens and imagining life for an orphan in the workhouse. We now have our very own workhouse in the classroom and sit in there to read our class book - Street Child by Berlie Doherty. We couldn't study the Victorians though without first thinking about Queen Victoria. We have studied her Coronation and written our very own newspaper reports about the day. We have also looked at maps of the British Empire and thought about how the different countries impacted on Britain. Most recently, we have started to look at the work of William Morris and discover how his passion for the past and for nature influenced his art work and designs. Watch out for our own William Morris inspired art work in the second half term. Away from the Victorians, our science work has focused on material properties. We have looked at all the different properties that materials have, grouping different materials based on those properties. We have also investigated which materials dissolve and how to separate different mixtures. Each time we investigate, we are mastering our investigative skills, including posing our own questions, planning what we will do to answer our questions, finding ways to record our findings and summarising what we have discovered. In fact we are becoming super scientists! We can't wait to do more next half term! We are having such a busy and fun time in Kirkstall this term! We have been investigating some historic moments in Britain from the Stone Age to the Iron Age, particularly the change from being hunter gatherers to being farmers. We have also explored some changes to the homes that people lived in during that time and as part of our technology, we have designed, built, modified and evaluated Stone Age homes. 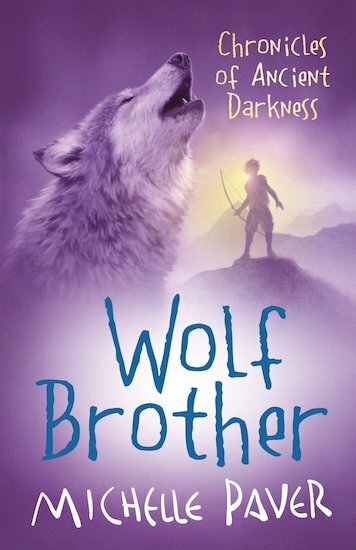 Our class book is 'Wolf Brother' by Michelle Paver which is set in the New Stone Age. It is the inspiration for our writing this term. In science we have been studying some important moments in nature. We have looked at the changes that occur in humans as we get older and how plants and some animals reproduce. As part of our R.E, we recently made a pilgrimage to St. Marie's Cathedral in Sheffield. The children were amazed to be in such a wonderful building and were treated to a fabulous tour, a celebration of mass and an organ recital. Some children even got to have a go at playing the organ themselves!